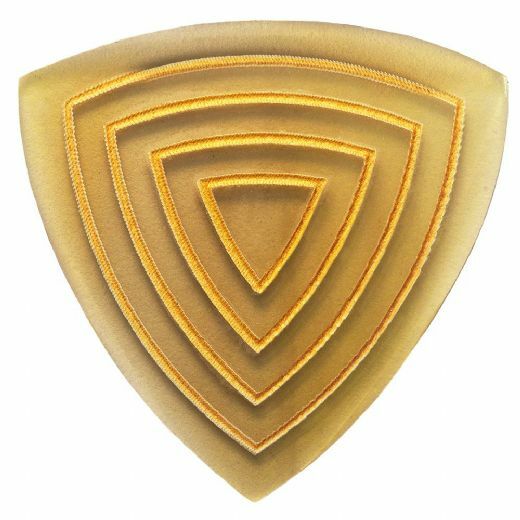 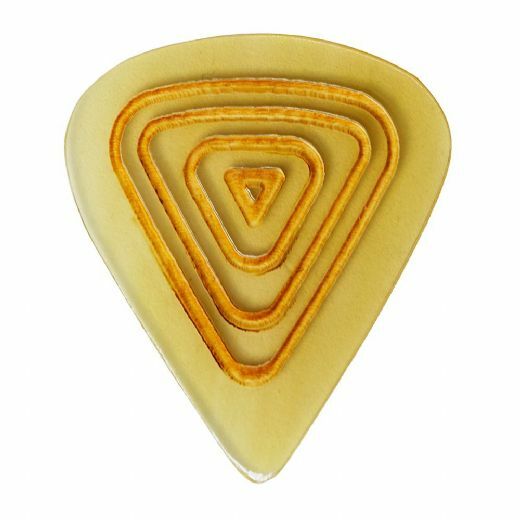 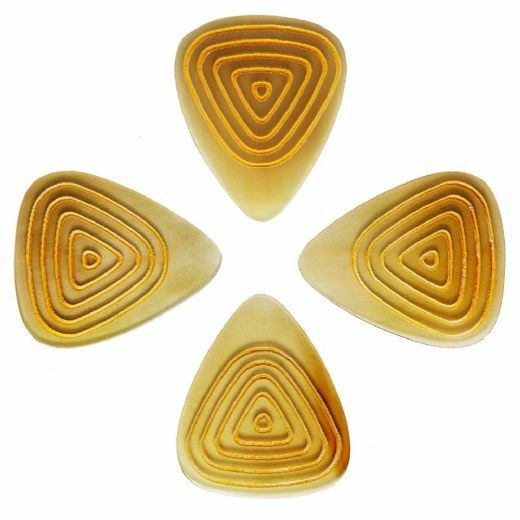 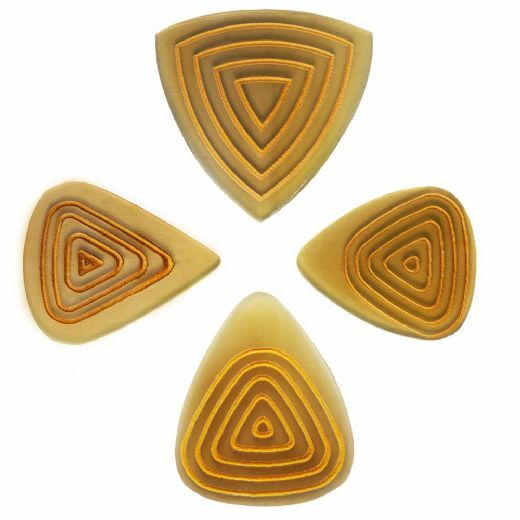 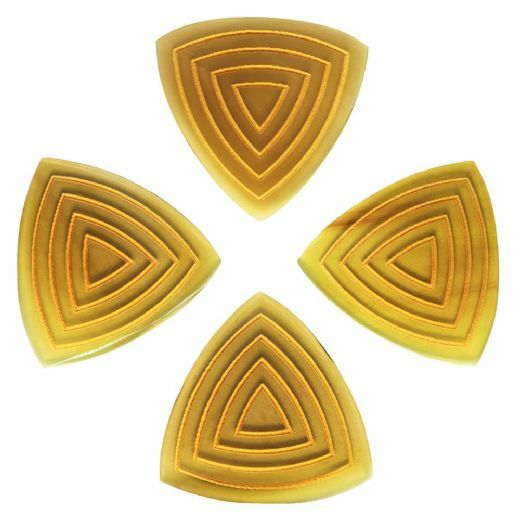 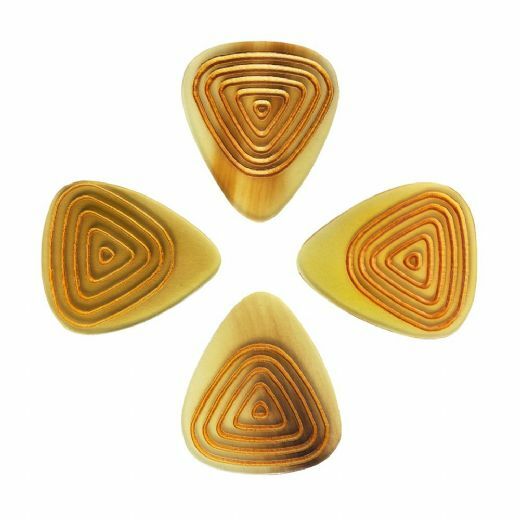 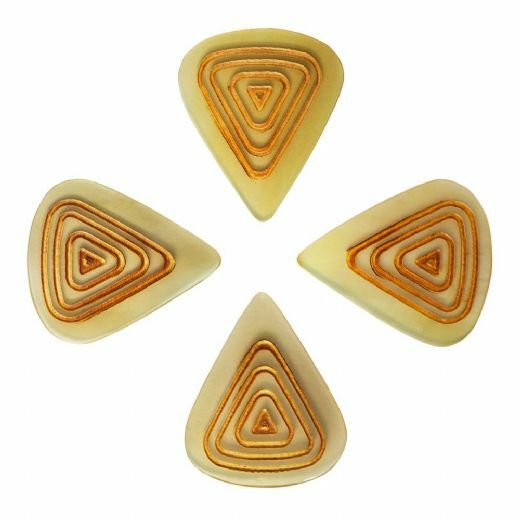 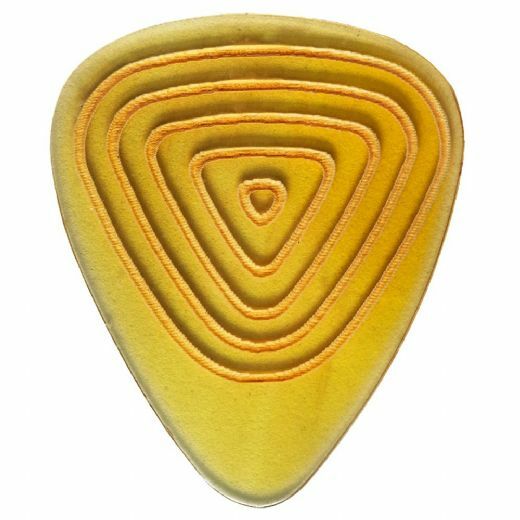 Flexi Tones Grip are manufactured from 1mm thick Vietnamese Water Buffalo Horn, They are cut by Laser into 4 of our favourite shapes then hand finished to create a smoothed playing tip. 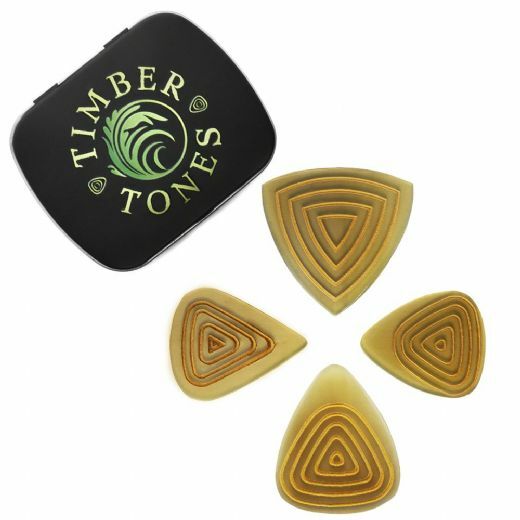 They are Laser Engraved on one side for extra grip. 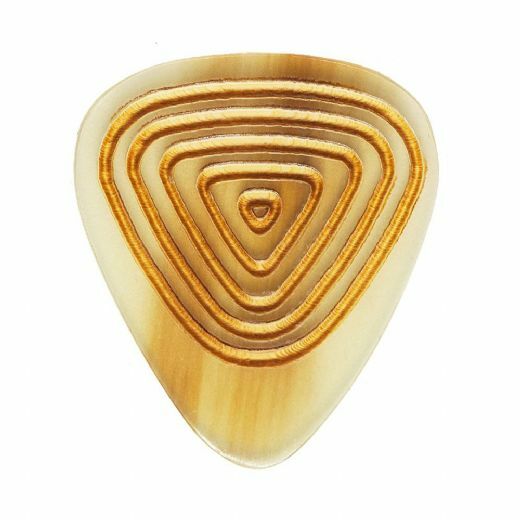 Buffalo Horn is as close as you can get these days to the famous Tone previously achieved using Tortoise Shell as it is made from the same Keratin Material.